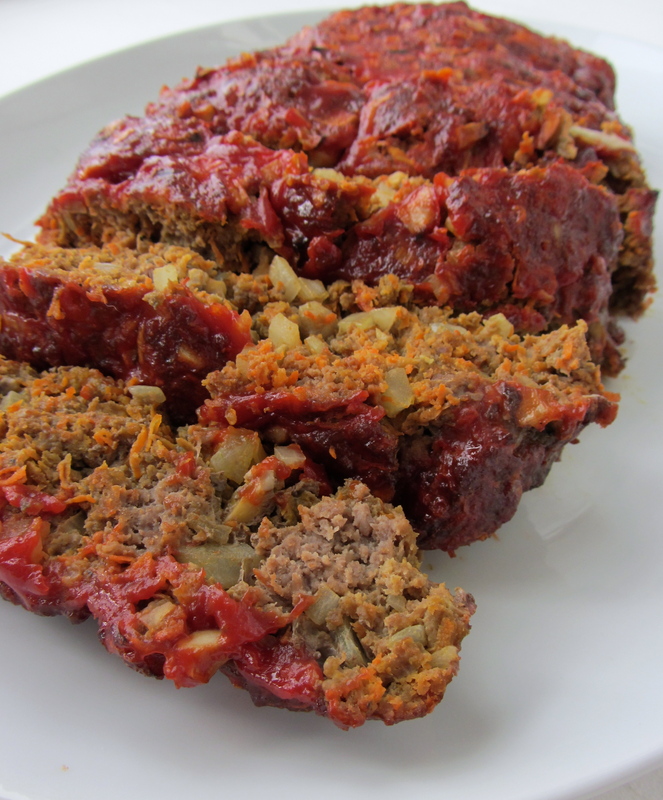 Ah meatloaf… one of the most comforting of comfort foods. I mean, it’s pretty hard to say resist the aroma of this roast wafting out of the oven. The best part? This meatloaf is packed with a fair share of vegetables, perfect to round out your meal and great to make for kids that can be picky eaters! 1. Preheat oven to 475F. Prepare a baking sheet by lining it with aluminum foil and spraying with some oil. 2. In a large bowl, soak the bread cubes in the milk until all the milk has been absorbed. 3. Once the bread has absorbed the milk, add the beef, onion, carrot, mushrooms, garlic, egg, salt, and pepper to the bowl. Using your hands, gently mix everything together until evenly combined. Transfer the mixture to the prepared baking sheet and form it into a 10-inch x 5-inch loaf. 4. Roast the meatloaf at 475F for 20 minutes until the top is crisp, then reduce oven temperature down to 350F, brush the top and sides of the meatloaf with the ketchup and continue to roast until done, with an internal temperature of 160F, about 30 – 45 minutes. Let rest for 10 minutes before slicing into large pieces to serve. * Use a fattier ground beef, such as a 70/30 or 80/20. The leaner meats make a dry meatloaf. * Meatloaf can be made with a mix of meats, substitute a pound of ground pork, or lamb.